Tips & Tricks, and how to get the most out of the speedometer widget. 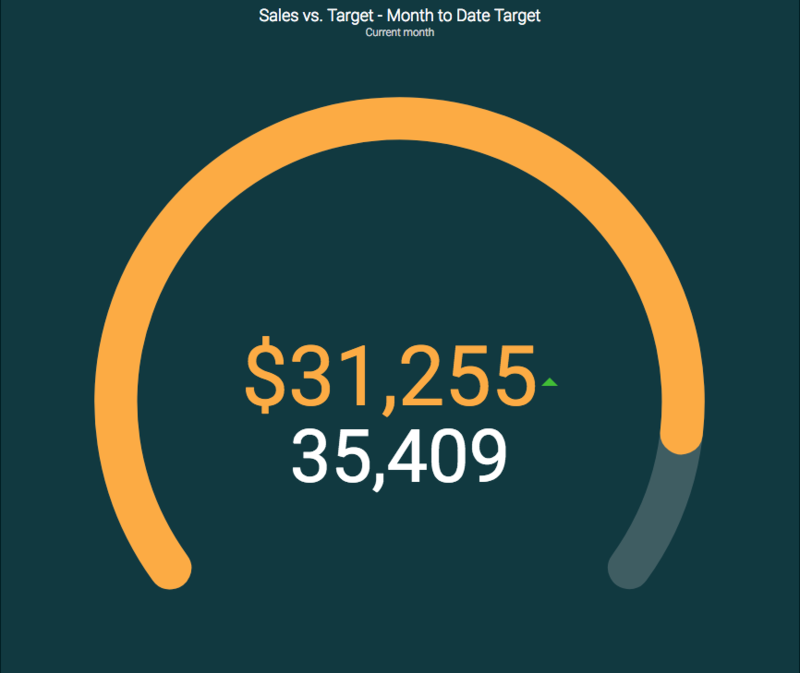 This example shows that your team needs to reach a target value of $40,000 this month. But if the widget is used to show the daily progress instead of monthly, you will create a much better overview for your employees. 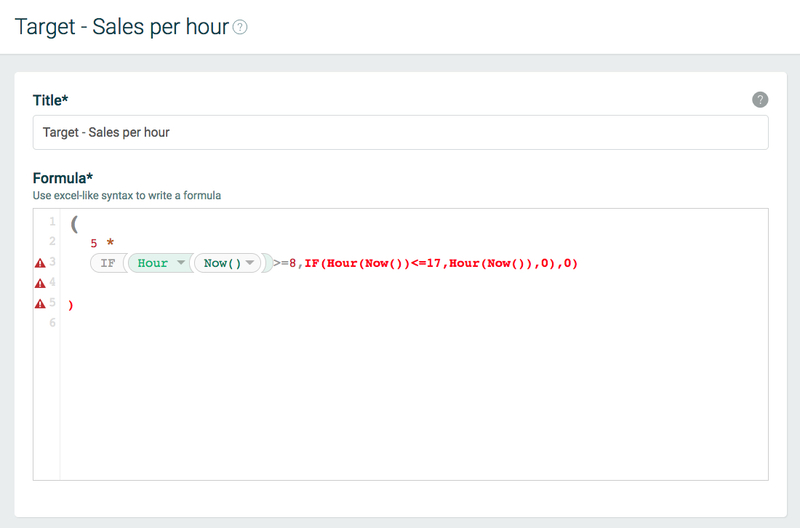 Please remember to edit (Target, value), to reflect the name of your data source and field name. Your target will increase day by day. At the end of the month your target will reach 40,000. This gives you a much more comprehensible and manageable overview throughout the month. Your company has a daily budget. Since the budget won't be reached until the late in the day, the speedometer will show red most of the day. Some people don't find it motivating to "be behind", so it can be a good idea to show it hour per hour. 5 is the number of sales you want to reach per hour. 8 and 17 in the If statement are the opening hours. 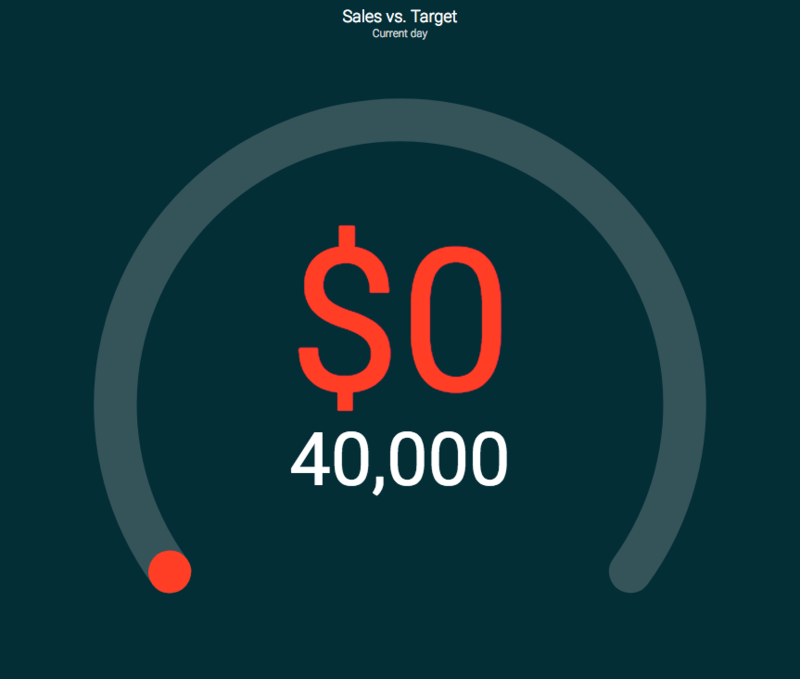 Use conditional colors on the speedometer widget to see how far you are in reaching the goal.